"Why so serious?" 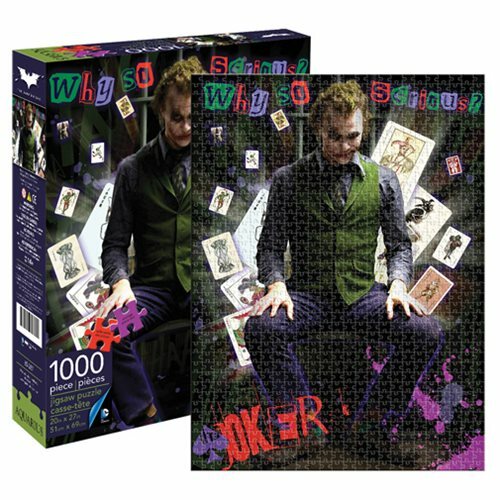 Heath Ledger's Academy Award-winning portrayal of the Joker in The Dark Knight is the subject of this incredible Batman The Dark Knight Joker 1,000-Piece Puzzle. It measures 27-inches tall x 20-inches wide when completed. Ages 14 and up.